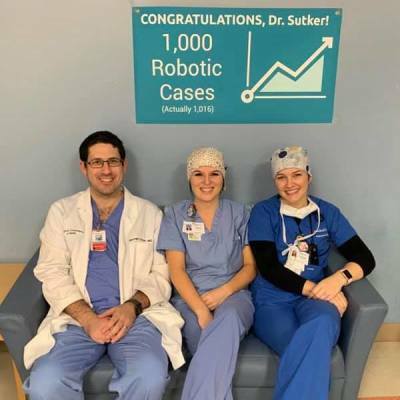 Dr. Sutker has now completed over 1000 surgical cases on the DaVinci robot. 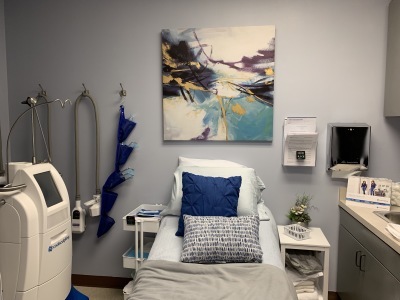 While celebrating with his team at Medical City Dallas, Dr. Sutker stated, "This platform has offered a great way to treat many different surgical problems with minimally invasive techniques. We have a great team here at Medical City Dallas and I look forward to the next 1000 cases!" Pictured: Stuart Barnhouse, C.S.T., Michael Sutker, M.D., Josyln Kahn, C.S.T., Stephanie Poorman, R.N., Heather Smith, C.S.T. Here are the links to the informative talks given by our doctors at the Medical City Dallas Healthy Weight and Wellness Brunch. Dr. Sutker's Talk - Issues with Obesity Dr. Bell's Talk - Weight Loss Surgery Options Dr. Henke's Talk - After Weight Loss Surgery Click here to view all three talks! Our Surgical Consultants of Dallas, Jeff Henke, M.D., Dina Madni, M.D., Chris Bell, M.D., Sue Jiang, M.D., and Michael Sutker, M.D., will be featured in the Dallas County Medical Society's Dallas Medical Journal for the Big and Bright Stars promotion. Coming soon to your mailbox!